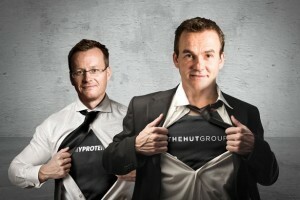 Online retailer The Hut Group has agreed a new £345m revolving credit facility as it looks to expand both in the UK and internationally. The Cheshire-based group, which operates over 100 websites including Lookfantastic, MyProtein, The Hut, ProBikeKit.com and AllSole.com, says it will use the funding for general corporate purposes as well as any strategic initiatives, including possible M&A in its core health and beauty categories. The four-year facility has been provided by HSBC, Barclays, Santander, Bank of Ireland, Silicon Valley Bank, Lloyds and the Royal Bank of Scotland. Matthew Moulding, chief executive of The Hut Group, said: "We are delighted to build on the continued support shown by HSBC, Barclays, Santander, Lloyds, RBS and we very much look forward to working with them and our new partners at Bank of Ireland and Silicon Valley Bank. "2016 saw a step change in investment to power future growth, with a total of £250m invested in infrastructure development. This new facility provides us with a very powerful foundation to further differentiate our business model and expand both in the UK and internationally, with a specific focus on supply chain integration across the health and beauty sectors." The Hut Group, which reported turnover of £334m for the year ending 31 December 2015 with EBITDA up 33% to £30m, will also invest further in its global distribution and nutrition production centres. The group says it is on track to deliver £490m sales and £49m EBITDA.